Rapnews.co.uk Rapnews.co.uk UK rap, grime and hiphop culture resource! » Blog Archive » Win a copy of Style Wars! Win a copy of Style Wars! Style Wars is unquestionably the most important film in hiphop culture’s history. Directed by Tony Silver, it documents 1982 New York and the graffiti artists, MC’s, DJ’s and B-boys that rock the city with sounds and moves you just don’t see anymore. Featuring legends such as Crazy Legs, Skeme, Cap and many more, there’s not a true hiphop head who wont enjoy this movie. The DVD’s packed with outtakes, commentaries, interviews and galleries, and is a must for the hiphop junkie! We’ve got a mountain of copies of the Style Wars DVD to give away. Simple e-mail in the answer to the following question with your name and address. You may only enter once and need to be UK based. We’ll randomly pick winners on the 23rd of March. Good luck! 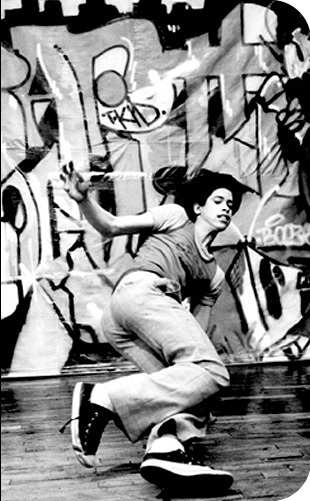 What crew is legendary breakdancer Crazy Legs, who features in Style Wars, a part of?